Creativity is the ability of the person in order to generate ideas by using one’s own imagination. Creativity is something which the students fond of. The students will be involved in to anything which involves creativity. So think about a situation in which creativity in the classrooms. They will bid a good bye to traditional form of learning and welcome the new way of learning which involves creativity. This article will figure out the importance of creativity in the classrooms. Students become creative only when their teachers are more creative. This is because they set their teachers as their role model and try to cultivate their habits. So in a classroom creativity should exist both in student’s side as well as in teacher’s side too. When it comes to teacher’s part a teacher should deliver the subject matter in a way which will be creative. For example a teacher may use various charts, pictures or even they may provide some videos which will be helpful for students. When teaching is done in this way the students will be really excited and also they will also pay more attention than the traditional form of blackboard teaching. The traditional forms of teaching tie up the hands and minds of the students by making them sit for hours and listen only to lectures and reciprocate the same during examination. So some change is required. And that is the creative form of learning. In some schools they allocate certain time in a week called the creativity time. However it is not the only way to bring creativity amongst students and teachers. Creativity should be brought in to education. This can be done by asking students to do projects on the subjects they are dealing with. The teachers should also welcome students own ideas and help them with it. The teachers may also assign tasks to students and split them into teams. They can use their classroom as a stage for bringing out the students creativity. 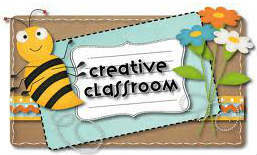 The classrooms should be creativity friendly in which knowledge will be shared among both the students and teachers. This kind of classrooms helps in improving ones performance by the same time help in analyzing oneself, figuring out student’s interest, making the subject matter more interesting and effective. So I would like to conclude this article with a note by telling that in order to make our future generation more effective and creative this kind of classrooms should be bought where knowledge is transferred to the students through creativity.